Hannah joined the company as a negotiator in 2004 and became a Director in 2010, progressing to take over alongside Claire Reed as Managing Directors in 2018. With an enthusiastic approach to estate agency and an all-round knowledge of the local market Hannah believes in offering the highest standard of advice and service when it comes to the whole process of buying and selling property as well as being a qualified member of the NAEA. Hannah is a local girl having grown up in Bideford and outside of the office has a busy family life, she is married to Lee with two sons Archie and Rex, They enjoy being out an about enjoying the local amenities and making the most of family time at the weekends. Claire joined Cowlings in 2005 and has taken over alongside Hannah as a Managing Director in 2018. Her outgoing and friendly personality ensures a great relationship when dealing with clients, also being a qualified member of the NAEA. Claire is committed to offering honest advice and enjoys nothing more than successfully negotiating and seeing through sales. Claire lives in Bideford and is married to Steve with a son Cruz, Claire spends her free time with family and friends. Charlotte joined the team last year, starting in an administration position and has now taken on the role of Lettings Manager. Charlotte is a fantastic asset to the company, Lettings can prove to be very demanding and a cool calm manner to complete all aspects of her work in a professional way and to a very high standard Outside of the office Charlotte is married to husband Matt with 2 daughters, Florence and Etta. Kezia is the newest member to the Cowlings Team, taken on to assist Hannah and Claire in the busy and demanding role as a sales negotiator. Kezia completed her work experience with the company when she was 16 and now some 7 years later has returned to progress as part of the Cowlings Team. With Kezia’s polite and friendly personality we have no doubt she will fit in perfectly. Outside of the office Kezia enjoys spending time with family and friends, her dogs Topper and Bear, and where possible taking sunny holidays abroad. Michelle joined Cowlings this year, being a recent member of the team in an Administration role. Michelle’s thorough work ethos proves to be invaluable when dealing with the overall marketing and promotion of our register. She is dedicated to providing excellent client service and no task is too much for Michelle to take on. Outside of the office Michelle is a busy mum with her 2 children Caden and Lexie. Tanya is a Weekend Negotiator and valued member of the team. 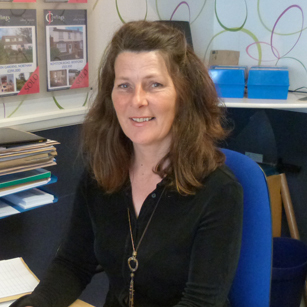 With a superb attitude when dealing with clients Tanya is an asset to the team and often has the busy task of dealing with all aspects of the office running and viewings on the weekend. In her free time Tanya is a busy lady, looking after close family as well as having a keen interest in art and design. Tanya enjoys walking her dogs and keeps sheep which occupy any spare time she may have. Chantelle is a Weekend Negotiator and fantastic asset to Cowlings. Her experience and confidence when dealing with clients makes the running of the busy Saturday office go smoothly, Chantelle is always able to deal with all level of enquiries. In her free time Chantelle lives with her boyfriend Luke and their dog Riley, they have a busy social life and enjoy festivals and spending time with their friends and family.